1. 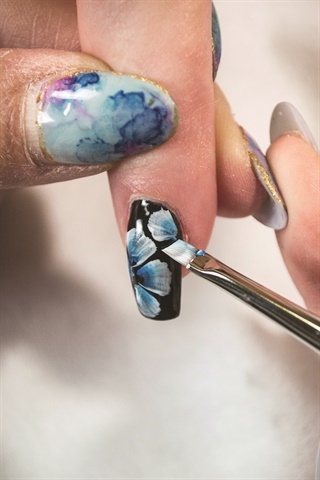 Prep the nail and attach a nail form. 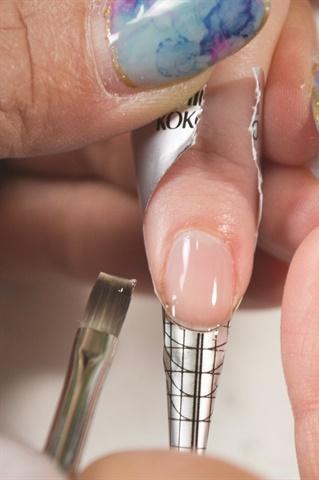 Apply Platinum Bond over the nail and extend up to the ideal length. Cure. 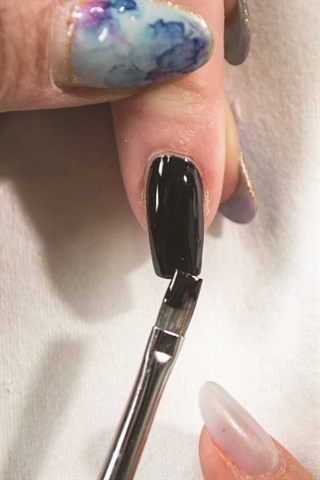 Using a flat brush, fill the gap between the nail and form with Excel Builder. 2. Apply Excel Builder and turn the hand palm up so the gel moves toward the apex. Flip back, let the builder self-level, and cure. 3. Remove the form, file to shape the extension, and remove dust. Apply the base color (Kokoist E-148) and cure. 4. 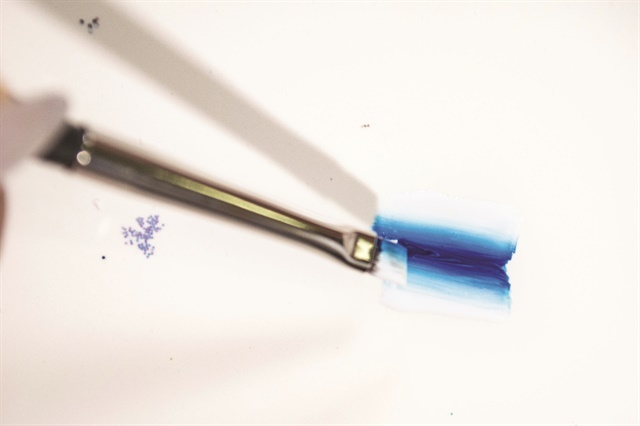 Blend Kokoist gel in E-56 and E-100 on a palette using an angular brush. 5. 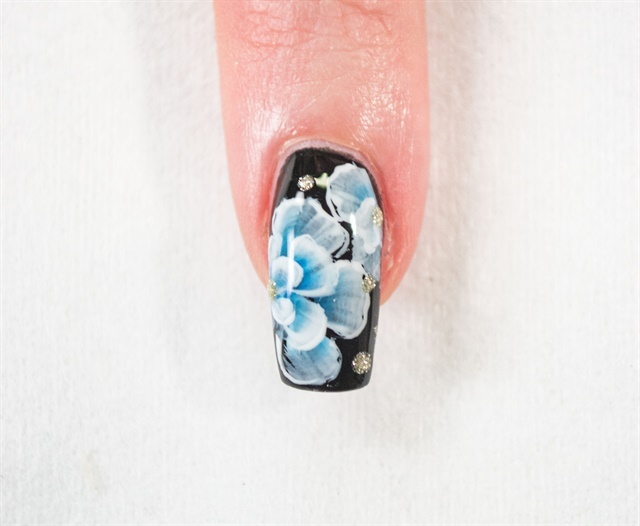 Using the angular brush, paint the outer layer of petals and cure. 6. 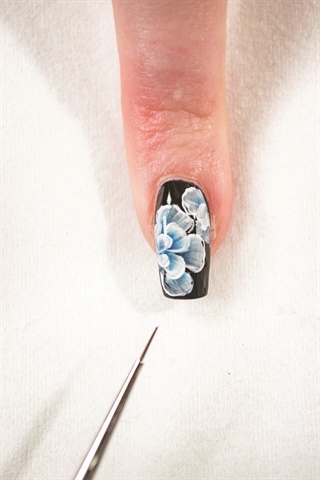 Paint the inner layer of petals and cure. 7. 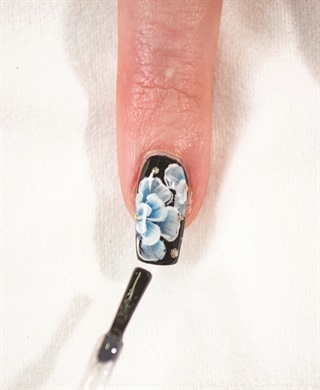 Using a short liner brush, outline the petals with E-56 and cure. 8. Add details with E-51 using a short liner brush and cure. 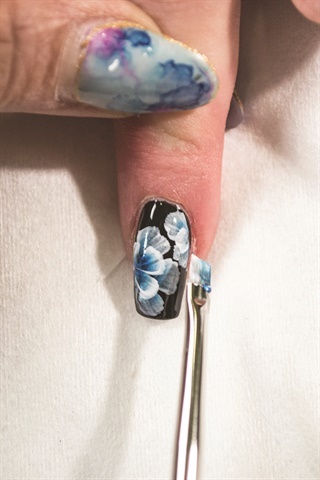 Apply top coat and cure. For more information, visit www.kokoistusa.com.